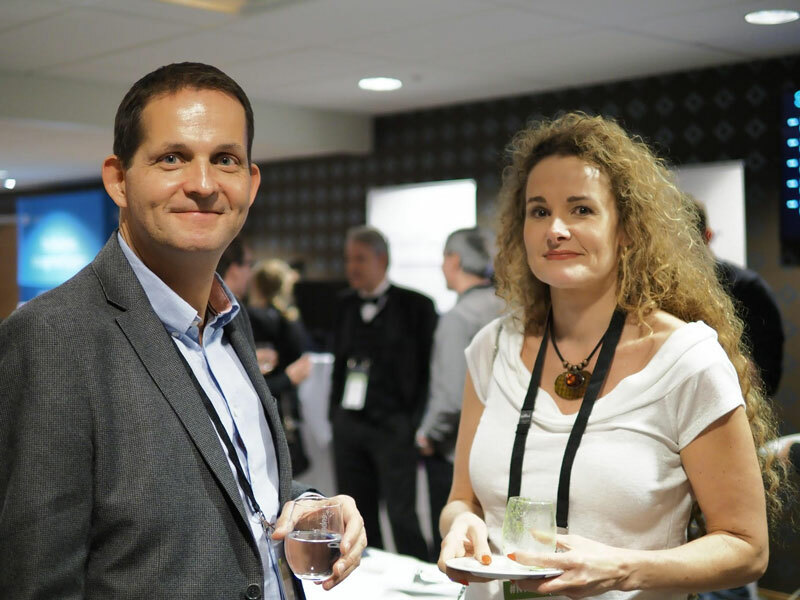 The 8th edition of the Nordic Translation Industry Forum was held in Oslo, Norway, on 21–23 November 2018 and gathered 146 participants… including the happy French guy taking these notes! It’s a fact that the Nordic countries (Denmark, Finland, Iceland, Norway and Sweden) are more and more attractive to different entrepreneurs, businesses and innovators. Nevertheless, make no mistake: I came to realise that people from 26 different countries joined what is with no doubt a global event… with a breath of fresh air! Compared to other conferences, NTIF was full of surprises. If you’ve never set foot in a Nordic country, you wouldn’t anticipate being surrounded by so service-minded, smiling and very friendly people. Also, as diversity is one of the core values of Scandinavian societies, people are independent and think critically, which means they communicate and discuss ideas in an open and constructive way. While Anne-Marie Colliander Lind and Cecilia Enbäck are the two brains behind this prestigious forum, their heart and soul make it so special. From the jovial welcome reception to the exhilarating closing raffle, their sincere interest in everyone’s well-being transpired every minute. Sessions highlights included a totally unexpected and memorable keynote in sign language by Finn Marko Vuoriheimo, that had the entire audience teary-eyed. The two-day inside tracks offered crucial insights on multiple topics from 19 speakers: latest and future trends in technology, successful cooperation initiatives, against the current business strategies, Nordic market-specific intel, interpreting, marketing, sales… Mixed formats, separate tracks and Q&As contributed to lively days. Live sketching of memorable visuals from the sessions, by Finnish artist Linda Saukko Rauta, was as entertaining as meaningful. Our industry might be technology-driven, but we all favor working with people we know and trust. I found that Scandinavian and Nordic populations are trusting a lot, exhibiting a high degree of confidence in other people. This is why social activities are omnipresent at NTIF! Engaging with a new person or talking to an existing vendor or customer is made much easier and pleasant in such a relaxed and peaceful mindset. The genuinely friendly atmosphere shows on any of the fun mingle shots captured by Swedish photographer Martina Wärenfeldt. Have a look! As a Frenchman, enjoying good food is a compulsive obsession. I was delighted to experience a prime and cozy venue, morning talks around delicate refreshments and coffee, mingle or seated lunch break discussions, promising conversations during social hours with bubbly drinks and healthy refined finger food. The “gourmet dinner” (included in the registration, btw, kudos on that!) took place on a hilltop at Grefsenkollen, in a historic building from 1926 with fantastic views of Oslo, delicious cuisine, fine wines and excellent service. Swedish DJ Foffe made sure to keep everyone in a party mood on the dance floor. If you haven’t guessed already, the two good reasons to attend NTIF are the two magic souls behind it: Anne-Marie and Cecilia are two sweet Swedes who clearly underpromise… and overdeliver! I came as an attendee, I left as a friend. “Tack, tack!” And see you again in 2019.